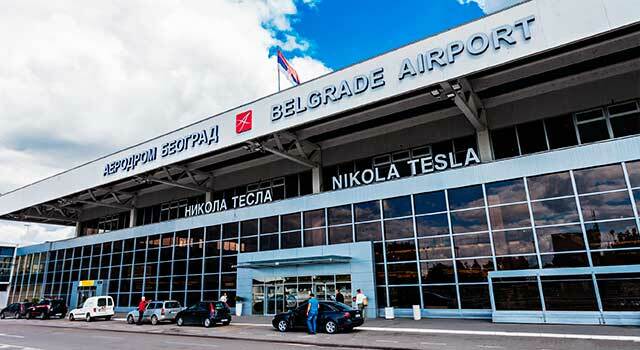 Nikola Tesla Airport in Belgrade is the main gate to all travelers visiting Belgrade and Serbia. Located only 18 km from downtown Belgrade, it is the largest and busiest Serbian airport and the hub of Air Serbia, national flag carrier and the largest airline in the country. 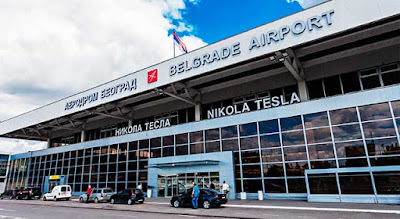 Belgrade Airport connects Serbian capitol city with all the major cities in EU. Air Serbia boasts a direct flight to New York from Belgrade Airport as well. 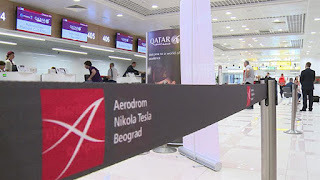 Belgrade Airport has two terminals adjacent to one another and connected through a hallway with 66 check-in counters ad 27 gates equipped with 16 jetways. There were two major renovations resulting in expansion of A-gate and C-gate departure & transit areas and jetways replacement, Terminal 1 interior overhaul and complete reconstruction of Terminal 2 arrivals and departure areas. Both terminals have a combined area of 33000 square meters. Belgrade Airport offers single business class lounge, Business Club, a VIP Lounge used by both airlines and general aviation customers and Air Serbia Premium Lounge, open 24 hours a day for Air Serbia / Etihad Airways business class passengers and frequent flyer program members. Airport security checks are located at gate entrances. 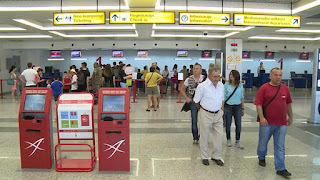 All passengers must pass the passport control as there are no domestic flights. Belgrade Airport is connected to A3 motorway, a part of European route E70 via a nearby interchange. 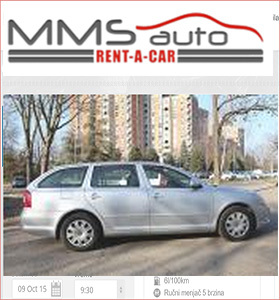 Car rental agencies, licensed taxi and bus services are available with expected trip duration between 30-40 minutes from the Belgrade downtown center. Airport car parking lot has a capacity of 569 parking places, located across the terminal building and operates 24 hours non-stop. 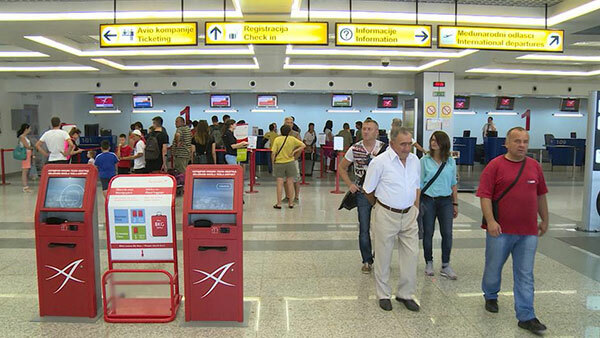 Belgrade airport, with the highly professional airport services and security makes tourist and visitor departures, arrivals and transitions a joyful and memorable experience. It is not one of the major global hubs and an ultra-modern architectural marvel – it is a cozy, warming and welcoming national airport with a sole purpose to make your trip become a thing of sweet memories and a trigger of a travelling desire. Welcome to Belgrade Airport and have a safe flight wherever you go. You've just landed at Belgrade Airport with a firm intention to find your own bearings and enjoy the freedom of driving. 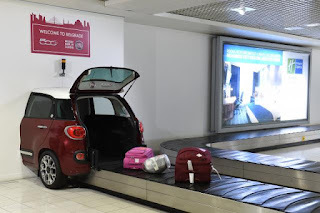 It is a great idea to experience vivid life on the streets of Belgrade while driving a rented car so here are some useful tips and info which could be helpful in making a car rental at Belgrade Airport a memorable experience. There is a long list of car rental agencies at Belgrade Airport such as Avis, Budget, Hertz, Sixt, Thrifty, with offices located at international arrivals area at Terminal 2. List of offered cars is long, stretching from budget-friendly Toyota Yaris all the way to luxurious Audi A8, depending on visitor's plans and needs. 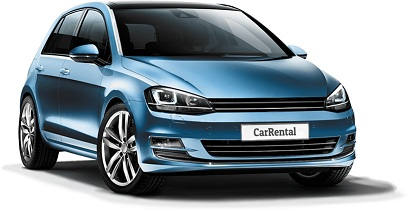 Car hire rates are reasonable, vehicle cleanliness and counter stuff helpfulness are excellent according to published customer ratings which makes car rental car rentalat Belgrade Airport a good value for money. 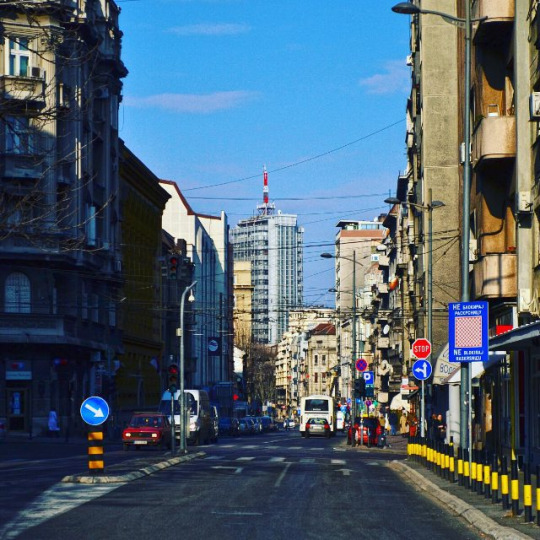 Traffic in Belgrade reflects the capital nature of the city, local mentality and driving habits, as well as Serbia's economy under transition and hard times in the past. Basically, it's not very different to driving in any major European city but there are some traffic rules and enforcements that should be observed like general speed limit of 50 kph (31 mph), requirement for low beam headlights to be turned on during daytime, yellow lanes reserved for public transport vehicles and prohibited use of mobile phones while driving. 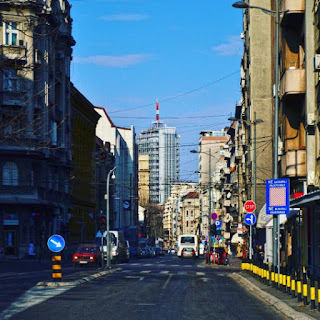 Driving during a rush hour in Belgrade (8:30 - 9:30 AM, 4:00 – 6:00 PM) is not much different from the same experience in any other major city, driver's caution is recommended. It is not always easy to find a parking spot in central areas of Belgrade, although there are always a good number of spots available in public garages. Parking is charged from 7AM to 9PM (Monday – Friday) and from 7AM to 2PM on Saturdays. Maximum duration of stay is 1 hour in red, 2 hours in yellow and 3 hours in green zone – there's no limit for parking in blue zones. Of course, make sure to park your car legally otherwise you'd risk having your car towed if spotted by the police. Fuel prices in Belgrade are a bit higher than the average world fuel prices, ranging from 1.18 EUR per liter of unleaded gasoline to 1.22 EUR per liter of diesel. All types of fuel including methane and LPG are widely available. Car rental at Belgrade Airport is an opportunity to blend into what Belgrade really is. With proper information’s, familiarization and planning, it will be a wonderful experience. Belgrade is a great city, full of life and experiencing it from behind the steering wheel is time well spent. So don't forget to bring your driving license when coming to Belgrade next time. The owners who have business in tourism and rent their private apartments often have to deal with some problems like fake owners that offer their apartments and take their profit. How they do it? Internet and global access to information, has made a huge step forward to offer accommodation facilities to visitors, and eased the visitors search and finding the optimal location and reasonable price for accommodation. But on the Internet is lurking a danger. Some people offer other people's capacities as their own, often taking money in advance. This is pure online crime and very dangerous scam in which directly are harmed users, guests, and renters, and indirectly services, owners agency, portals and web sites, ie. specialized services that loose credibility and trust. We all know that credibility and trust are very important in industry of tourism. Those frauds can be happens in famous global services such as Booking.com, Airnb, HolidayLettings, Tripadvisor, House trip, as well as the local portal. Online frauds are faithful companion of the virtual world, and particularly are vulnerable sites which don’t have accurate information’s, and do not ensure and check them more thoroughly. Internet is so spread out that almost all of us bought, sold, commented, assessed something on line. Those people who want to make frauds on the Internet have considerable leeway and some proven ways to attempt fraud. First they opens a public e-mail accounts with false information, then registers on specialized sites for advertising with that e-mail, and at the third step, advertise other people's property, as their own. No too much math, just superb insolence and criminal behavior that is very difficult to trace. You can imagine the feeling of the owners when saw how their own properties are offers without authorization from some strangers. The only thing in this case is left is to immediately report abuse to the police and authorities, as this is often the only way to come to the cheaters and prevent further abuses. The web portals and agencies stated that is impossible to check every offer they receive for advertising. However, larger and more professional agencies have more developed procedures of checking the advertisers, and frauds are much rarer. Smaller sites, portals do not have resources and times for checks, which can be very tempting for hackers. How to avoid this kind of problems? – The first suggestion is that the owners of the internet sites and portal have to search for prove and evidence (copies of categorization, account numbers or other data), and have to develop a system of protection. In this way, visitors and potential users could see the official data on the advertiser. – Some services for the booking of accommodation, such as Airbnb, who are aware of the frauds on the Internet, ask from the guest to pay the entire amount of the reservation in advance, and the corresponding money sent to the owner only after feedback from the customer. This mechanism is almost ideal protection for all participants in the chain. The guests are protected from false information’s, if apartment was not as he had seen on the web, may seek and obtain a refund. – Those who wish to use the services of web advisers and portal should check the experiences of others with that site. These sites allow commenting and posting ratings and reviews from others guests and travelers, it is worthwhile to read the same and find out what you be expected. Owners can use GoogleAlerts to monitor the advertising of their own accommodation through this service. – The recommendation is worth gold. 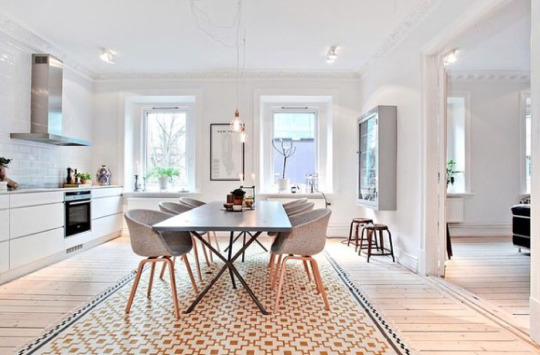 As in many other areas, as well as in the business of renting apartments, the recommendation is something that many people like to hear and to get it, in order to reduce uncertainty and risk. Involvement of proven agency for renting apartments will save time, nerves and money. Why reputation on the Internet is important for renting apartments? The first step in the journey begins with choosing destination. After that, something the majority of tourists devotes most of his time and attention - finding accommodation. One of the most important things in deciding is category of hotels or apartments. However, with the development of the Internet and global networks, perhaps even greater importance have impressions of guests who have already stayed in that accommodation. Today is very easy to comment, either positive or negative, and it remains written on the net and always available. People love to hear others' travel experiences, to see pictures, hear the impressions and recommendations. Not long ago, mostly other people, acquaintance, friends, or relatives did tell these experiences and stories. Today the situation is vastly different. People uses Internet, there are lot of portals, forums, blogs which are dealing with themes of traveling and tourism. 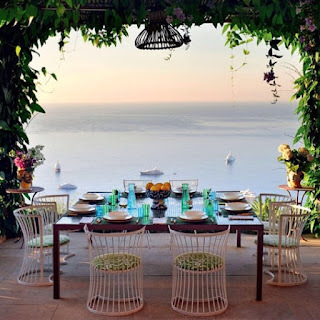 They encourage people to share their impressions, to assess a destination, agency, hotels restaurants or apartments. And people use such opportunities with pleasure. They praise what is good, or warn on the negative side. For each destination, you will find recommendations for accommodation or restaurant that you should not skip, and a warning of what should be bypassed in a wide arc. Such comments are, of course, quite subjective, but many agree that the personal experience is still more objective than the prospect of travel agencies. In this content, which users create online, owners of accommodation cannot directly influence. They have to focus in obtaining comfortable, clean and well-appointed apartment, which guest will praise and go back there again. They have to try to make good photographs of their premises, because good pictures attract attention, likes and comments. It is important to interact with as many possible visitors on social networks, to answer their questions, comments and criticism. The only thing you must never do is to delete the comments you do not like. Instead, try to repair the service or promotion that guest was not satisfied. Be up to date, reply to emails, you show that you care. Embellish reality, uses Photoshop for photos, excessive use of superlative epithets. This approach quickly and easily could be negatively affected, because when people once realize that what is in the shop window is not even close to what you get in the store, shall cease to come. The tourism industry can not rule that any advertising is good, on the contrary. Online community brings advantage, benefits and opportunities In one place, there are a lot of comments and feedback's, each of which can serve as a good business advice: what satisfied guest and what not, what is good in your offer, what attracts them, and which segment of business should be change or improve. With properly listening of the wishes and needs of guests, owners can always be one-step ahead of the competition. The importance of online reputation in tourism is recognized by World Tourism Organization, who is considering introduction of this element for categorization of tourist services. Therefore we ought to follow trends and keep pace with the times and new features that brings the development of science and technology. 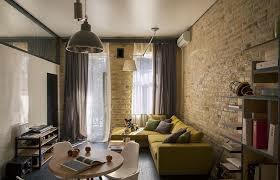 Apartment is a part of flat or house in which the tourists can stay, sleep, eat or independently cook their food. 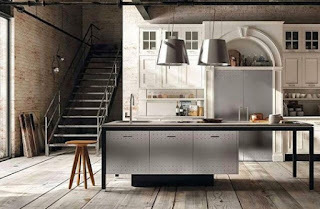 There are various apartments according size and quality so some kind of categorization and classifications is necessary. Apartments can have from one to four stars, depending on the number of points obtained in the evaluation according to the standards prescribed by the competent authorities. More points are dedicated to apartments build with high-quality materials. Renovated buildings have more value than old buildings. Parking in Belgrade, can be a very big problem. Apartments with 4 and 5 star must have parking place at the building in which the apartment is located. Other categories of accommodation do not have to have a secured parking for guests. 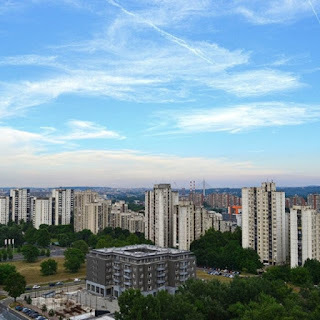 However, in Belgrade you will find a large number of apartments that offer this possibility, whether it's a parking place in front of or possibility of parking in a nearby garage. Access to the apartment entrance and must have secured outdoor lighting. In addition, for two or more stars, entrance to the accommodation unit must be from a separate corridor or hallway. Person who speaks at least one foreign language should receive guests, and it is very important to be very nice, kind and friendly person. “Guests are always right” should be motto. The minimum area that flat must have in order to be categorized as an apartment is 26 m2. From 19 m2 to 25 m2 is classified as studio. 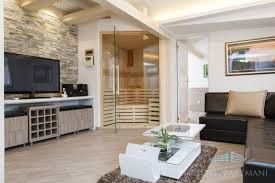 Equipment and feature of apartments are regulated by some standards and requirements: number of beds and pillows, number of outlets, techniques (air conditioning, TV, Internet), to details such as a sewing kit and a printed notification of the facilities and services which are available to guests. In the bathroom must be a tub or shower cabin with curtain. 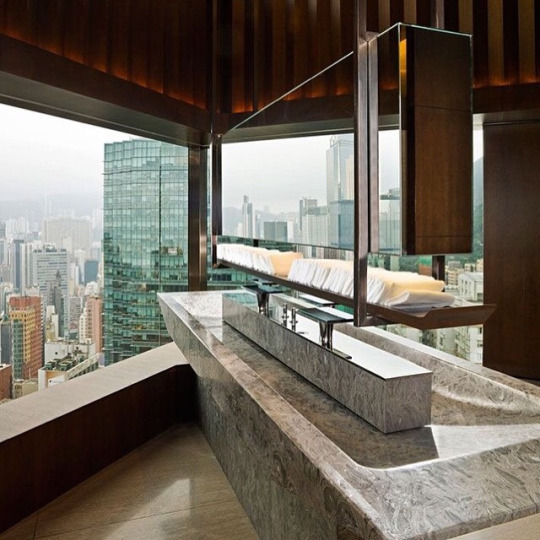 Apartments with two or more stars have to provide additional hair-dryer, shampoo and bath, extra towels and toiletries. How to attract business tourists? For people involved in tourism it is important to recognize business tourists and attracts them. 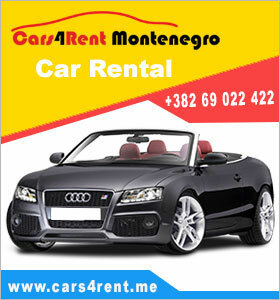 Airports, hotels, car rental agencies, restaurants adapt and extend its offer to business people. Hotels have gone farthest. They have areas so-called "lounge bars" aimed for gathering and socializing of businessmen. Hotels with more stars have one or more meeting rooms, conference rooms equipped with the necessary equipment, Broadband fast internet and telephone or fax lines are on their disposal. 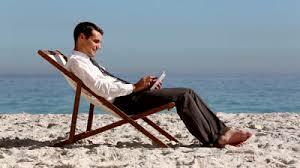 Business tourists can choose whether they prefer to work in a hotel rooms or in the areas of special purpose. Someone who saw their chance to attract this well paid guest are the owners of private apartments. These apartments are a solution for all requirements andneeds of businesspersons. apartments have access to the Internet and telephone. Some of them have computers, laptops, fax, scanner, printer and photocopier on disposal. in apartments can be created and organized a space for working and conducting business. Apartments are quiet, intimate, offers a pleasant atmosphere unhindered by crowds and noise, also there can be organized meetings in friendly and even familial environment. in the apartments can be arranged meals for one or more people. 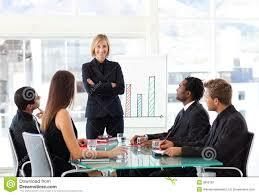 If the business people do not want to cook, the owner can hire catering service or restaurant. 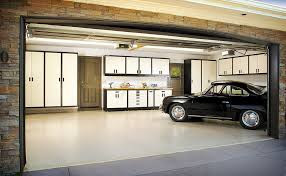 parking places - Most of apartments provide parking space for their guests. When the work is completed this visitors often want to go out and explore the city. For these tourists, apartment accommodation is a great solution. 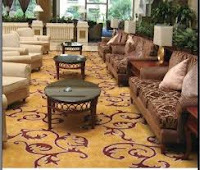 Unlike a hotel, here they have a large space, and everyone can undisturbed to attend to their work or entertainment. 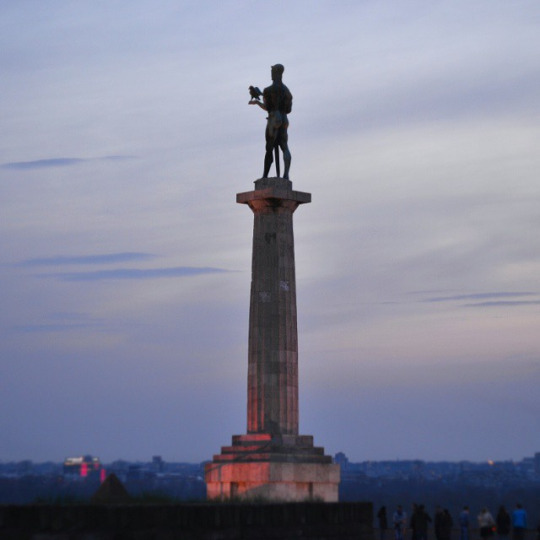 Belgrade is visiting by many tourist and visitors. In 2014, 1,200,000 tourists both foreign and domestic visited the capital of Serbia and this year that number will be higher. 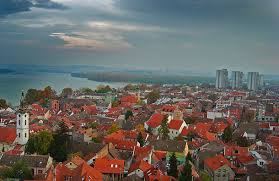 Traditionally Serbia and Belgrade mostly are visited by Slovenians, Croatian, from Bosnia and Herzegovina, Germany, Italy, Turkey, Arab countries. There are plenty of reasons to visit Belgrade, from sightseeing and enjoying in excellent food and drink, great fun, and so on. Tourist workers have to find adequate accommodation for these visitors. What can Belgrade offers? 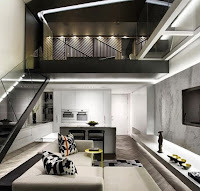 The huge popularity in recent times has private apartments. According to the data of Tourist Organization of Belgrade, the city has about 500 apartments for a short or long vacation, but this figure is difficult to verify, probably there are more. 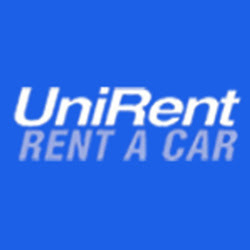 They can be rented for a longer and a shorter period. 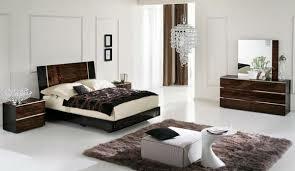 They are comfortable and tastefully furnished apartments who offered all possible comfort and peace. 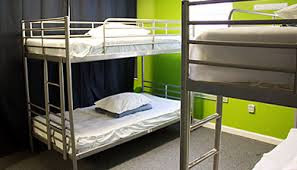 The good thing is that guest can avoid crowds in the hostels and hotels, and the time of renting is very flexible, from several hours to several days. Private apartments are cheaper, offers better comfort, safety and intimacy; guest should feel as they are at home. They can cook, wash their clothes, they can chose location, (private apartments are situated all over the city) and save money for transportation cost. Booking and payments can be made on-line. 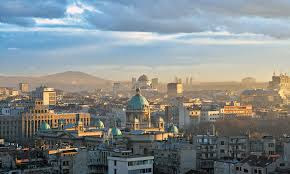 According to the latest data of the Tourist Organization, in Belgrade exist around 61 hotels. Hotels a ranged by categories, from 1 up to 5 stars. Some will think that it is more than sufficient, but experts in the field believe that there is room for more. In particular, there is a lack of luxury hotels with more stars. In recent years are build a few luxury hotels like Crowne Plaza, Falkensteiner, Hotel Allure Caramel, Hotel Atera, Radison Blu hotel Holidey Inn, Zepter Apart Hotel. Those hotels poses a high level of standards and luxury for visitors. Those with little less deep pocket have access to hostels. There are around 90 hostels but opens new almost every week. Hostels are less comfortable and less luxurious, but they are cheaper. Hostels are visited by young backpacker who travels and explore new places, students, visitors of concerts and other cultural events. They can sleep for just 5 euro’s, rest a little and continue their trip. Also a lot of new friendship can be made on this places. Belgrade does not have enough camps that the city of this size should have. The reason for this is weak domestic demand, foreigners who are most used to camps, can not fulfill capacities that are considered sufficient to make it operate with a profit. 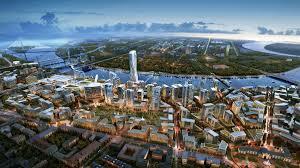 Interest in Belgrade as a tourist destination is expected to grows each year so that these capacities for accommodation that we mentioned will certainly not be sufficient, so that the growing need require new investments to new facilities for all categories. 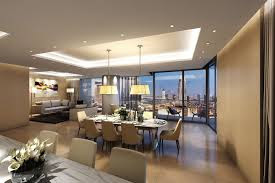 Because of its advantages, as well as the significantly lower required investments, we expect that private apartments will grow with the biggest rate and success. SrbijaSpace.com. Travel theme. Powered by Blogger.